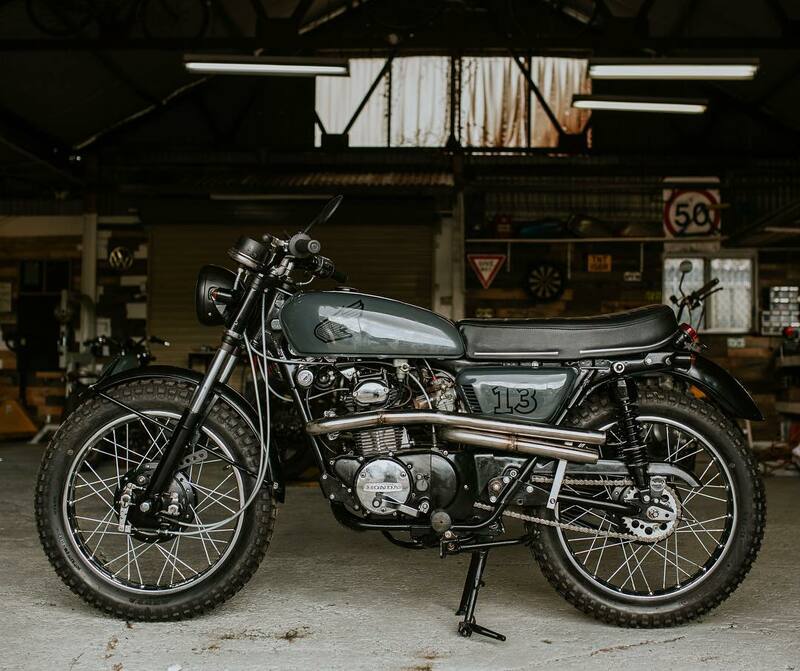 Today we are featuring Honda CB 175 Cafe Racer built by Butler's Customs Australia. Liam Butler told us that the bike was arrived to him in 6 boxes as rusted parts. The wheels are completely rebuilt by him with new spokes and rims. The hubs were blasted and powder coated. The engine was stripped down and completely rebuilt after that vapour blasted and ceramic coated. The seat had an inch cut off and reupholstered. All bolts were replaced with stainless. The exhaust was made from scratch out of 304 stainless steel. Original gauges were painted and restored. The carburettors were replaced with new. The electrical system is all new parts. The forks are powder coated and rebuilt. New rear shocks and all lighting replaced. They took one year to complete this bike.